Enrique Iglesias' highly-anticipated new album arrives in stores on July 6th through Universal Republic Records. "Euphoria" is a star-studded affair featuring additional guest appearances by Usher and Akon. 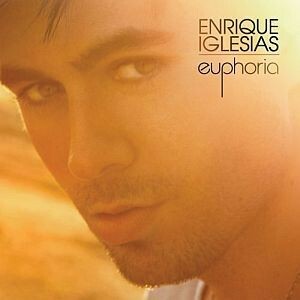 Produced by RedOne (Lady Gaga, Mary J. Blige), Mark Taylor (Nelly Furtado, Britney Spears) and Enrique's long-time collaborator, Carlos Paucar, it's the first Enrique Iglesias album to feature songs in both Spanish and English.